Cannabis remains a Schedule 1 drug despite evidence of its incredible medicinal potential. In this post from Leafly, read about the most impactful cannabis studies of all time. The first ever study to show that cannabis exhibits anti-tumor propertieswas originally designed to demonstrate the plant’s dangers, specifically harm to the immune system. Funded by NIDA and a grant from the American Cancer Society, researchers at the Medical College of Virginia implanted tumors into mice, which were then “treated for 10 consecutive days with delta-9-THC, beginning the day after tumor implantation.” Presumably to show that THC makes cancer grow faster. The study’s authors were certainly ready to investigate this exciting development further, but instead, NIDA cut off all of their funding and made every effort possible to suppress their research. As a result, only a single newspaper article, published August 18, 1974 in the local section of the Washington Post, covered this breakthrough discovery. It would take nearly three decades before Dr. Manuel Guzman, professor of biochemistry at the University of Madrid, managed to follow up on the original 1974 experiments, with similar results. In the March 2000 issue of the journal Nature Medicine, Guzman reported that cannabinoids (like THC) not only shrink cancerous tumors in mice, they do so without damaging surrounding tissues. Harvard Medical School Associate Professor Dr. Lester Grinspoon first started researching cannabis back the 1960s, in an effort to convince his best friend, famed astronomer Carl Sagan, to stop smoking so darn much of the stuff. Quickly, however, Grinspoon realized the case against cannabis was all based on government propaganda—an insight he explored in depth in a bestselling book called Marihuana Reconsidered (1971). Ever since, the good doctor has been a leading voice for medical cannabis. He also witnessed the plant’s therapeutic power firsthand when his son Danny was diagnosed with leukemia at age 15, as he explained in a personal essay on his life’s journey with the plant. Dr. Grinspoon eventually convinced the head of Boston Children’s Hospital’s oncology department to undertake a 1975 study (published in the New England Journal of Medicine) that for the first time demonstrated the efficacy of THC for nausea and vomiting associated with chemotherapy. Throughout the AIDS crisis, Mary Jane Rathburn volunteered as a nurse’s assistant. While making the rounds in local hospital wards, she would discreetly provide home-baked cannabis-infused “magically delicious” brownies for free to those in need. Eventually, “Brownie Mary’s” tireless public service caught the eye of Dr. Donald Abrams, now the head of oncology at San Francisco General Hospital. Inspired by her example, Abrams set out to prove via science what he’d already seen with his own eyes. Namely, that cannabis is a uniquely effective medicine for those suffering with AIDS-related nausea. Dr. Donald Tashkin, a prominent pulmonologist at the University of California at Los Angeles, has spent over forty years studying the effects of cannabis on the lungs. When some of his earliest research established that the plant’s tar contains cancer-causing chemicals as potentially harmful as tobacco, Tahskin perhaps understandably jumped to the conclusion that smoking cannabis regularly must significantly damage the lungs. But in 2006, with funding from the National Institute on Drug Abuse, he led the largest case-control study ever done on the subject, and rather unexpectedly concluded that smoking cannabis—even frequently and in large amounts—does not lead to lung cancer. The study not only debunked a powerful anti-cannabis talking point, it strongly indicated that the plant has powerful medicinal properties. When it comes to cannabis and the opioid epidemic currently wreaking havoc in America, there’s basically two schools of diametrically opposed thought: Either cannabis fuels the current crisis via the gateway drug effect, or cannabis has the potential to help immensely by providing a far safer alternative for pain relief as well as a potential pathway out of addiction. For starters, the so-called “gateway theory” has been so roundly debunkedthat even the DEA gave up on it. And more importantly, studies have consistently shown that opioid abuse goes down significantly in places with access to legal cannabis. Much of this drop is attributable to those suffering with chronic pain or other conditions treatable with opioids who choose to use cannabis instead. A 2011 studyheaded by Dr. Donald Abrams also found that cannabis makes opioid drugs more effective, allowing smaller opioid doses to provide the same level of pain relief, with correspondingly lowered side effects and danger of dependence..
Marcus Bachhuber, assistant professor of medicine at the Montefiore Medical Center in New York City, first started hearing about this phenomenon from patients more than fifteen years ago. In 2014, hepublished research in the journal JAMA Internal Medicine that showed between 1999 and 2010, states with legal medical cannabis averaged almost 25% fewer opioid overdose deaths. Since that landmark study, many other papers have bolstered the argument that cannabis can play an important role in terms of harm reduction when it comes to prescription drug abuse—including two new studies (both published in the May 2018 issue of JAMA Internal Medicine) showing that when states legalize cannabis there’s a marked drop in opioid prescriptions. According to W. David Bradford, an economist at the University of Georgia and an author of one of the studies. Dr. Sue Sisley says she was abruptly fired in 2014 from a faculty position at the University of Arizona when her long planned study of cannabis as a treatment for PTSD became a political hot button among local politicians. Sisley ultimately prevailed, and now serves as one of two principal investigators in a multi-site study sponsored by the Multidisciplinary Association for Psychedelic Studies (MAPS) and funded by a $2.1 million grant from the Colorado Department of Public Health and Environment. The world’s first controlled clinical trial evaluating smoked medical cannabis as a treatment for PTSD is a triple-blind, outpatient, randomized, placebo-controlled study of 76 combat veterans randomly assigned either a high-THC strain, a high-CBD strain, a 1:1 THC/CBD ratio strain, or a placebo. Currently in its third year, the study has proceeded well, but in the meantime, PTSD-related suicides remain at epidemic levels among US combat veterans. In direct response to a flood of inquiries from parents of epileptic children, the US federal government in 2014 quietly fast-tracked a trial of cannabidiol (CBD) as a treatment for seizure disorders, proving that political pressure can indeed push them to approve studies into the potential benefits of cannabinoids. But while many advocates sought to test whole-plant or full-spectrum medicines, the study has been strictly limited to a single compound found in cannabis—not coincidentally one supplied in “purified” form by GW Pharmaceuticals, which also funded the study, and is currently seeking FDA approval to sell the a prescription CBD medicine called Epidiolex. 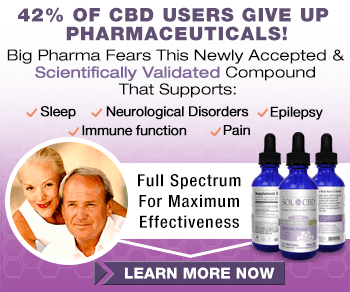 In May 2018, the New England Journal of Medicine published an update on this ongoing research showing that patients taking just 20mg of CBD per kilogram of body weight had 42% fewer seizures, on average, compared with a 17% reduction in the placebo group. According to a comprehensive report on the study from Leafly’s Ryan Basen, these extremely promising results have GW Pharmaceutical’s CBD drug on track for imminent FDA approval. “If approved, Epidiolex would become the first medication derived from the cannabis plant allowed in the US. The FDA has previously approved synthetic cannabis medications, which more closely resemble tetrahydrocannabinol (THC), but nothing plant-derived nor anything featuring CBD.